CASH BAN FROM 1 SEPTEMBER 2016 – AN ACCOUNT IS REQUIRED FOR ALL SCRAP SALES – DON’T FORGET TO BRING YOUR I.D. At Daltons, we process and recycle all types of ferrous metals from new production offcuts, light cuttings, punchings, heavy sections, castings etc. as well as redundant plant and machinery. We can survey your production scrap metal and arrange collections by our fleet of vehicles. 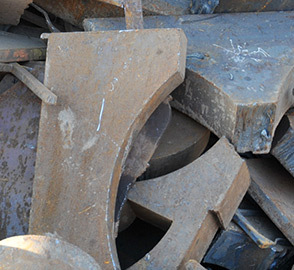 For smaller quantities, customers can deliver directly to any of our scrap metal yards. We are also able to offer site clearance services. To size 5ft x 2ft x 2ft or oversize. De-polluted vehicles, White goods, Light Iron and No. 2 scrap. Engines, mixed aluminium etc. Light or heavy, broken or oversized cast. At Gogarbank we operate an Authorised Treatment Facility (ATF) for the End of Life Vehicle Disposal. This involves the draining of all fluids, removal of batteries and a Certificate of Destruction. Speak to us today about your metal processing and recycling needs. Dalton Demolition deliver a professional comprehensive service for all your scrap metal recycling requirements.